One of the biggest duels underway in Hollywood right now is the one between Marvel and DC; two powerhouse comic book companies battling it out for supremacy on the silver screen. Marvel has put out a number of noticeable hits the past several years with films like Iron Man, Thor, and Captain America, while DC has relied heavily on their prize fighter Christopher Nolan and his Dark Knight Trilogy to keep them relevant. But what’s made Marvel so successful since the release of Iron Man in 2008 is the universe that they’ve created for their characters; a universe that culminated last year with The Avengers. The Avengers seemingly delivered a knockout punch to DC by giving fans a universe we’d only seen in the comics: where every superhero and villain existed on one plane. DC is now scrambling to keep pace, looking to create a Justice League film to rival that of their studio counterpart. There have even been rumors that Christian Bale may come back as the Dark Knight and fight alongside Henry Cavill’s Man of Steel Superman. While it remains to be seen whether those rumors carry any weight for DC, it’s clear that Marvel has set the bar for how a superhero universe should operate. The studio has seemingly pulled off the impossible by successfully bringing together the worlds of each character and creating an exciting, and cohesive, universe for them to exist in. 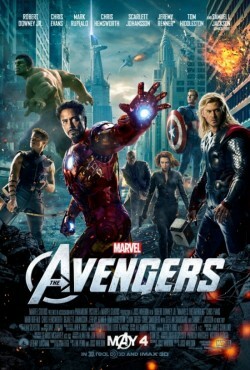 So, it’s safe to say that the Marvel Universe of heroes is the most successful universe ever created by Hollywood, right? While kids today may view the Marvel Universe as the greatest thing since Zack & Cody, I’m fortunate enough to be a man born of the 80s who grew up in the 90s, and who knows that the best Hollywood universe ever created was the TGIF Universe. Ah yes, TGIF, the four letters every kid growing up in the 90s still can’t hear without hearing this song in their head. It was a much simpler time back then. A time when Dinosaurs still roamed the earth; when unknown faces weren’t viewed as creepy stalkers, but rather Perfect Strangers; and where one could find solace and comfort inside a Full House and take on the challenges of everyday life Step by Step. And through it all, there was one man who was the staple of the TGIF Universe, who guided its characters through the rough times of adolescence, and who showed us the true importance of Family Matters. That man is none other than Steven Qunicy Urkel. While the man who portrayed Urkel, Jaleel White, has spent the better part of his life trying to make people forget about his nerdy past, I’m here to praise him for being the trailblazer that he was in the TGIF Universe, and for showing Marvel and DC exactly how a universe should function. For those of you born after the days of Crystal Pepsi and Reebok Pumps, here’s a quick refresher for you. Urkel was the lovable, yet annoying next door neighbor of Chicago’s esteemed Winslow family. He had an affinity for fromage and suspenders, and an undying love for anything Laura Winslow. Urkel was the driving force in the TGIF Universe, and can easily be viewed as their version of Bruce Banner. 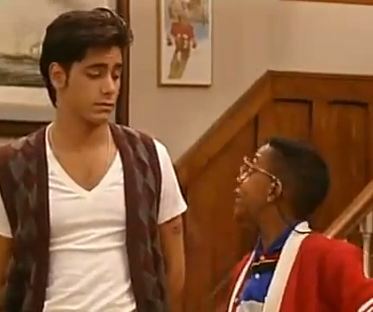 While Banner is the nerdy scientist with the Incredible Hulk alter ego, Urkel was the nerdy scientist with the Incredible Hunk alter ego in the form of Stefan. Just take a look at Urkel’s transformation below. But Urkel’s influence wasn’t confined to the streets of the Windy City. Just as Marvel’s characters exist in the same realm, so too, did ABC’s TGIF characters. And, when one of their stars was in trouble or needed guidance, it was the heroic Urkel who showed them the way. Let’s take a look. Urkel’s love for science and penchant for disaster were the perfect ingredients to kick start his tour of the TGIF Universe. After Urkel launched himself with a rocket pack from the Winslow’s Family Matters living room in Chicago, he crash landed in the backyard of the Lambert/Foster family from Step by Step. First off, this isn’t as crazy as it sounds since Chicago and Port Washington—the Wisconsin home of the Lambert/Foster clan—are only 116.6 miles apart, or a 2 hour 3 minutes drive (oh yeah, we’re going that in depth). Once there, he found out that young Mark Foster (played by Christopher Castle of the critically acclaimed canine flicks Beethoven and Beethoven’s 2nd) was in fact his pen pal—go figure! (FYI, Urkel had another pen pal in Philadelphia by the name of Cory Matthews from Boy Meets World.) Urkel helped Mark with his science fair project, and while that was a heroic act in itself, his greatest feat of heroism came when he helped young Alicia “Al” Lambert gain back her confidence after her date dumped her just before the school dance. Just as Dr. Abraham Erskine reminded Steve Rogers in Captain America: The First Avenger to always remain a good man, Urkel reminded Al to always be confident no matter what challenges life throws at you. In the end, Al takes Steve to the school dance and tells off the boy who dumped her. And, more importantly, with her new found sense of confidence she learned to “Do the Urkel”. But Urkel’s superhero work wasn’t done there. The agony and cries of a young child would soon take him to the west coast and the Golden Gates of San Francisco. Full House told the story of single father and Wake Up, San Francisco co-host Danny Tanner trying to raise his three daughters, D.J., Stephanie, and Michelle in San Francisco with the help of his brother-in-law Jesse (“Have Mercy”) Katspolois and Joey (“I’m Not Really Your Uncle, I Just Live In The Basement”) Gladstone. While the three men did an admirable job of balancing careers, bachelorhood, and parenting, the problems of an adolescent can sometimes only be solved by an adolescent, which is how Urkel’s arrival helped one Stephanie Judith Tanner. Stephanie was the middle child of the Tanner bunch, known for her precocious attitude and infamous catch phrase, “How rude!” Often accompanied by her loyal sidekick, Mr. Bear, Stephanie was the most outspoken and clever one of the Tanners. Like the Marvel hero Black Widow, Stephanie was a skilled spy, known for eavesdropping on the phone calls of sister D.J. and also reading D.J.’s diary to find out secrets about her love life. But like all great superheroes, Stephanie had a weakness. It did not come in the form of radioactive emissions from a piece of Kryptonian space rock, nor was it the color yellow which renders all power rings of the Green Lantern Corps obsolete; rather, it was the condescension and teasing of her elementary school peers. 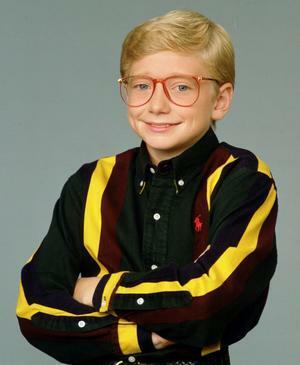 We all know how rough middle school can be, what with the acne, awkward boners, and rapid growth spurts, but none of that can compare to the ridicule an elementary school child can face when they get glasses. For Stephanie, it was something she dreaded and wanted nothing to do with. Fortunately, Urkel’s arrival helped changed her perspective on the situation. When Steve came to town for the big science fair (of course) he stayed with his cousin Julie who just so happened to be D.J.’s friend. While he irritated almost everyone he came in contact with, he was able to pass on some sage wisdom to young Stephanie, who didn’t want to wear eyeglasses because they made her feel “like a geek”. Steve taught her about the importance of laughter, and how if she was the first one to laugh at herself, everyone else would have nothing to say. For Stephanie, hearing geek advice from an actual geek was a welcome change and helped her through her situation. 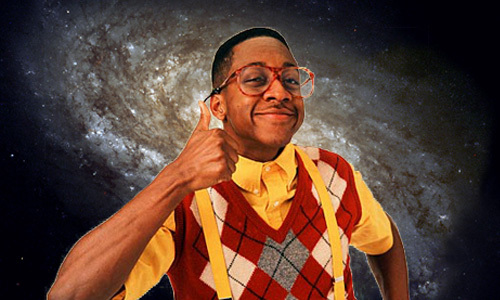 Even though Jaleel White may never fully embrace his past life as Urkel, there’s no denying the impact the nerd from Chicago had on the TGIF Universe and pop culture in general. Urkel’s ability to guide and mentor young minds like Al Lambert and Stephanie Tanner proved what a true hero this guy was. He may have been a nerd, but Urkel never backed down from a challenge and always confronted adversity head on. So, while Marvel and DC fight it out in Hollywood over who can create the best universe for their heroes, maybe they should look back to the 90s to see how it’s done. Come on, Marvel and DC, let’s all do the Urkel.